Doors will open at 11:30a.m. for lunch and networking. The program will run from 12:00p.m. - 1:00p.m. Join CYP as we hear from one of our favorite community leaders, Kathy Springer. 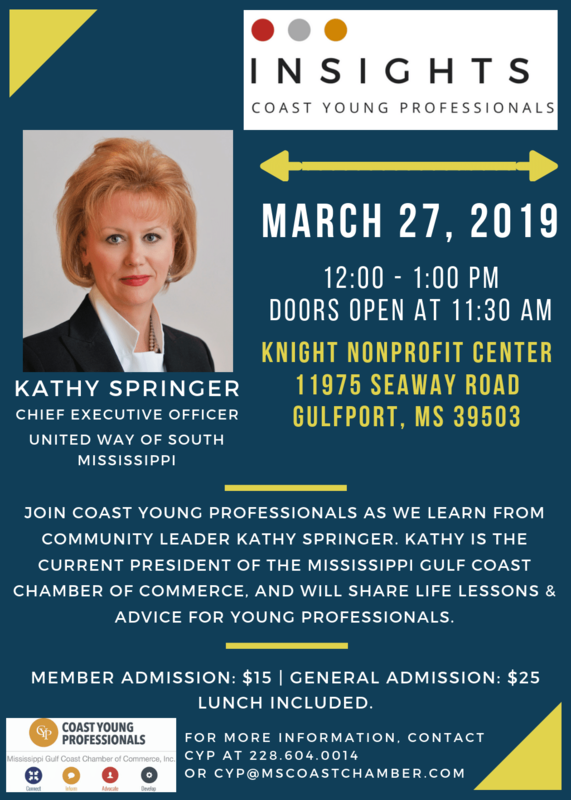 Kathy serves as the current CEO of United Way of South Mississippi, and is the 2019 Mississippi Gulf Coast Chamber of Commerce Board President. Kathy will share her advice for young professionals, and her favorite life lessons she has learned over the course of her career.